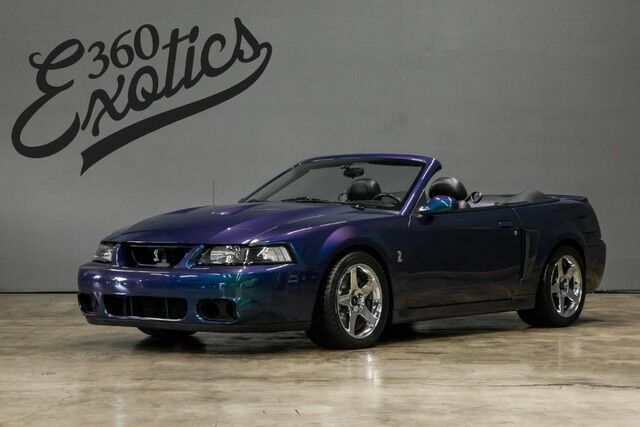 360 Exotics has a wide selection of exceptional pre-owned vehicles to choose from, including this 2004 Ford Mustang. This sporty Ford Mustang convertible leads the class in performance and refinement. A Ford with as few miles as this one is a rare find. This Mustang SVT Cobra was gently driven and it shows. You've found the one you've been looking for. Your dream car. The quintessential Ford -- This Ford Mustang SVT Cobra speaks volumes about its owner, about uncompromising individuality, a passion for driving and standards far above the ordinary.